Master ALE, EDI, and IDocs: the hottest technologies in SAP R/3. You’ll learn the technical ins and outs of real business models to make your implementations successful. Learn by doing from experts who know. 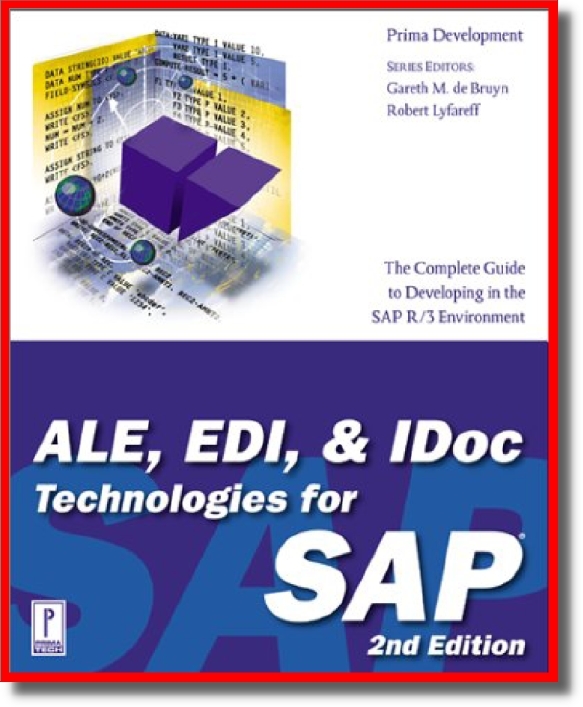 Take a comprehensive tour of SAP’s ALE, EDI, and IDoc technologies and learn the most useful and relevant functions you need now. Drawn from the author’s years of direct R/3 business and technical experience, this book provides immediate guidance for new users who need to get started with these hot technologies. More advanced topics help experienced users who want to make better use of key R/3 functions and technologies. Master the skills you need most by beginning with the basic concepts of ALE, EDI, and IDocs. Then learn the practical skills you need to implement standard ALE and EDI scenarios using actual business cases. Learn to develop components for custom scenarios, including IDocs, programs, and configuration technologies. Testing and troubleshooting techniques put you in the driver’s seat quickly. Also included are more advanced techniques, tips, and tricks, acquired from years of experience. See and apply real-world scenarios. Follow along in your own SAP session with this book’s generous collection of SAP screen images and diagrams. (Prima Tech) Guide to creating SAP development plans for the business world. Discusses troubleshooting, time-saving procedures, distribution of master data, and strategies used by large organizations. Provides detailed flow charts of numerous concepts.